Scientists and Archaeologists have a lot of information and historic references to be able to identify not only its location but the validity of all Biblical claims. 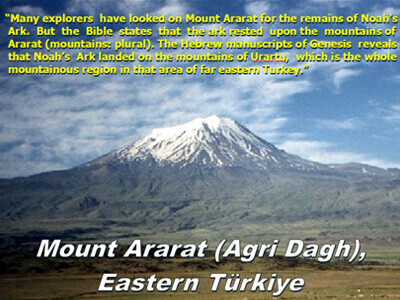 Gen 8.4 records that the Noah’s ark rested in the mountains of Ararat, now in modern day Turkey. 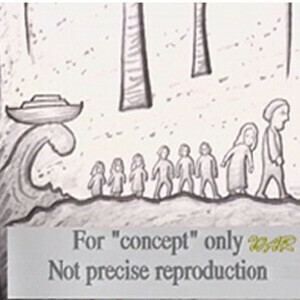 First Sightings of the Ark – Objections! 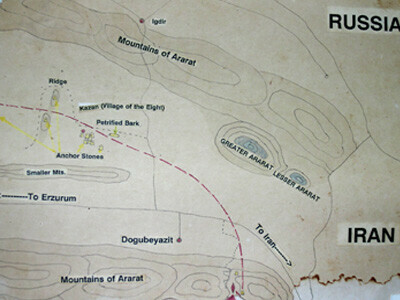 In the 1950’s NATO conducted a satellite survey of the mountings in eastern Turkey originally known as URATU (or ARARAT) discovering a large boat shaped objects in the southern volcanic region. 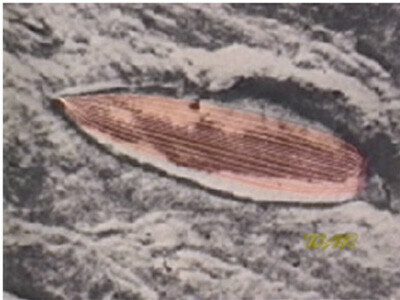 Its length was estimated at 500 ft. No other object like this with distinct symmetry occurs naturally, and was deemed by Dr. Arthur Brandenberger to be a man-made ship. 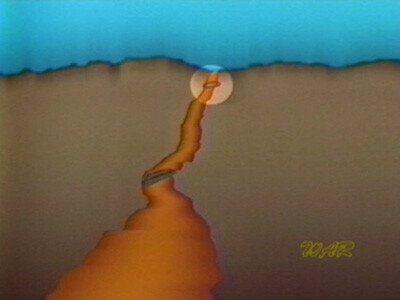 Due to its ancient weathered condition, when examined at the time of Dr. Arthur’s day it was concluded that there was no significant value and that it appeared to be a natural formation. Some theorized it was an ancient fortress. Upon further examination it can be easily accessed no one would have made a fortress in the middle of hills (as fortress are always build on the highest peaks), they would have been sitting ducks by people who simply would have went up further on the mountain to shoot arrows at them. Others proposed it was a copy of the ark built by Constantine. This hypothesis proves to be false because the metals found in the ark where not used in Constantine’s day. Aluminum has only been an alloy since 1948, and titanium since 1936, besides this, additional evidence points to a much older date. 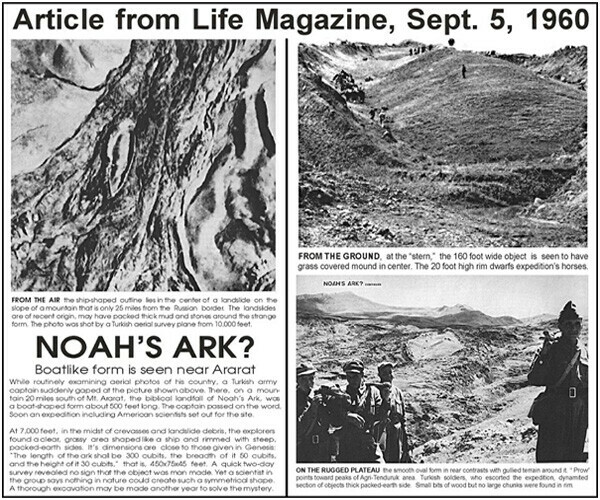 Life magazine in 1960 recorded this incident inspiring a young Archaeologist Ron Wyatt, who through much study concluded this was the only candidate likely to be the Ark. 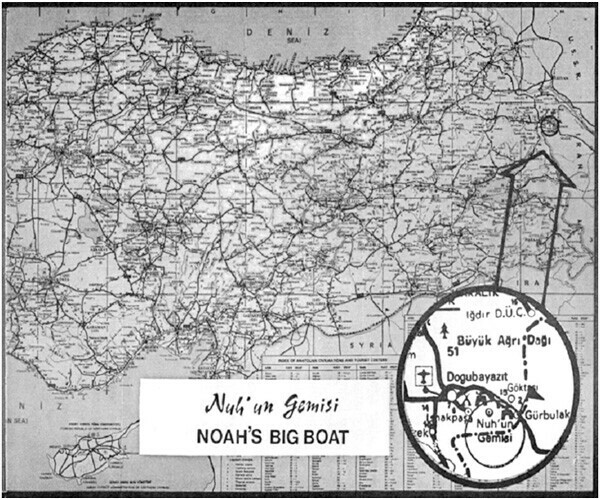 Ron Wyatt didn’t believe that a boat from antiquity could still be intact, but did some research to see if its remains may have survived to this day. 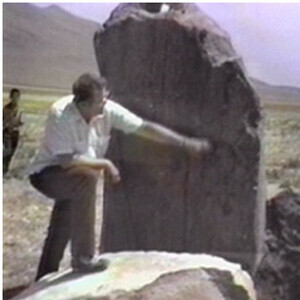 August 1977, Ron Wyatt took an expedition to explore the area, and approaching near the site found some ancient stones that looked like anchor stones used in ancient times in the Mediterranean sea. This one in particular stood 10ft tall. 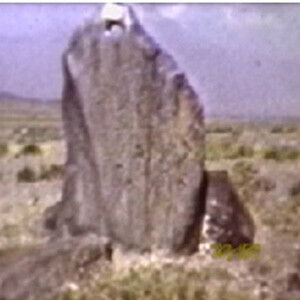 They found many more stone similar to these all around the ancient village areas. Most of the stone had the crusader style crosses etched into them, with the significance of 8 carved crosses (perhaps representing the 8 people of Noah’s Ark). Usually the medieval Christian crusaders would make these carving in places they had believed where connected with the Bible, thus they had perhaps in the past made a connection to this area with the historic account of Noah’s Flood. This theory begins to fade as more of the anchor stones where found, that had been buried in ancient times and only over the past few centuries begun to be exposed by erosion. These stones that where buried carried no symbols at all on them. If these stones really where anchor stone it would make since they some might have gotten buried by mud while the flood was receding so no one would have been able to carve anything on them. Also, if they really where cult stone, then where the precious cult inscriptions that would have existed before they where buried? The best explanation for these stones fits the anchors of an ancient ship. As ancient large ships used these types of anchors to steady the boat and for holding the nose down into the oncoming waves. Older carving could vaguely be made out behinds the ‘fresh’ carvings of the crosses on some of the stones in what would appear to be figures of 8 people walking away from a wave and a ship! 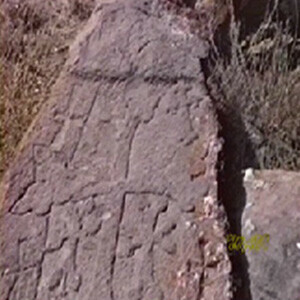 Most of the older carvings on the stones where eroded away, but one of the stones near a stone house has what appear to be a carving of a rainbow with 8 figures walking away from a torrential wave, with a boat shape. Near the site of Noah’s Ark, there is an ancient system of stone fences and places where houses once stood. Near the back quarters of these houses, was found an alter that could have been the alter of Noah. This area may have been his home after the flood. 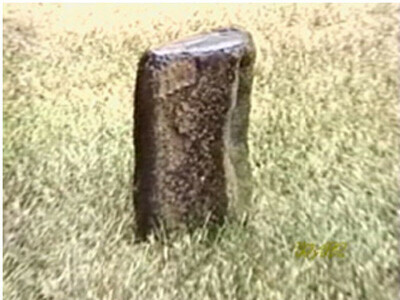 Stone fences also seemed to mark corrals where domestic animals most likely where breed. 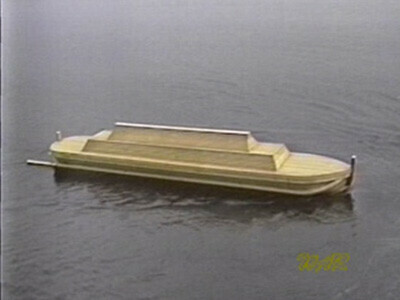 When Archaeologist Ron Wyatt finally found the boat, it was covered in heavy sediment, but due to complications was not able to conclude his archaeological survey at that time by performing the necessary legal excavations. After looking over his research Ron believed that the boat shaped object was mostly eroded and decayed away but had left it imprint in the Earth as seen. 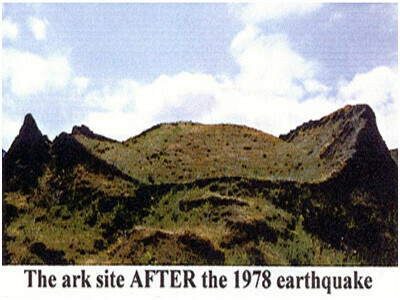 In Dec 1978, an Earthquake happened and had caused large sections of the sides of the structure to crack and fall away that seemed to reveal rib timbers of a boat. 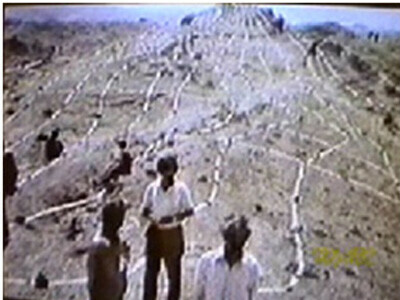 After some time, Ron teamed up with Dr. Shay to excavate in Turkey in 1979. 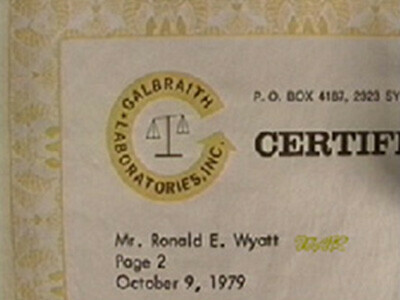 Ron attempted to take analysis with Galbraith labs to see if the structure was indeed petrified wood, in order to indicate if that was a wooded boat structure. The results came back with the large content of carbon revealing that is was indeed organic material as expected in petrified wood. 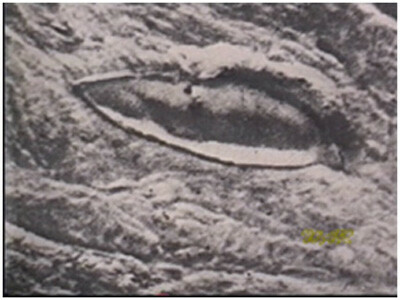 The results also revealed a large amount of iron content; this indicates the metal fittings used to connect the boats over time eroded depositing minerals in the wood as it petrified. Large petrified timbers where found below the surface of the structure, as revealed by the GPR (ground penetrating radar). An example of one of these timbers was dug out after authorities from Turkey, whom accompanied Ron, had order it. Samples where confirmed by Galbraith labs, hand peeled and laminated, this timber found on site was 3 layers thick, and it still retained some glue substance, sitting as a perfectly preserved specimen. [Lab sampling simply calculates the amount of inorganic carbon – organic carbon; to determinate how much of the specimen contains organic carbon which determines if the timber was indeed a piece of petrified wood]. 500mg of sample organic carbon – inorganic carbon = .7100% total carbon – .0081 inorganic carbon = .7019% organic carbon (revealed the majority was truly organic carbon, referencing it to be petrified lumber). The petrified wood samples from this site didn’t contain any growth rings. The Bible tells us that before the flood, the Earth did not have regular seasons of growth for trees, instead they had annual, uniform growth pattern that prevented them from developing rings. 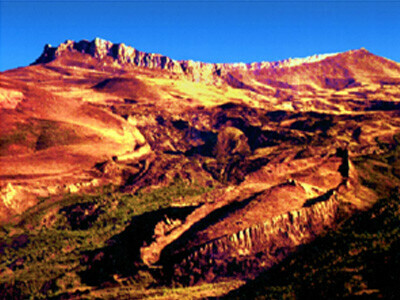 The region of Ararat experiences hot summers, springtime rains, and cold winters. These conditions would cause most wood to have rotted long ago. 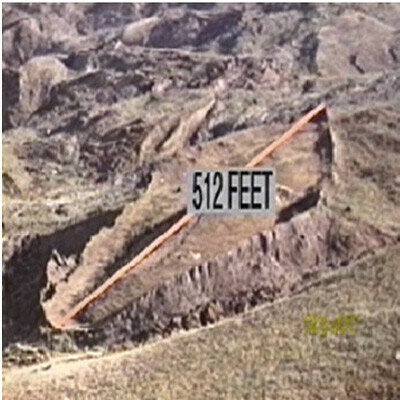 This boat was found to be embedded in limestone and lava rock on all sides, as it indicates evidence that it did slide down from a higher location up the mountain. 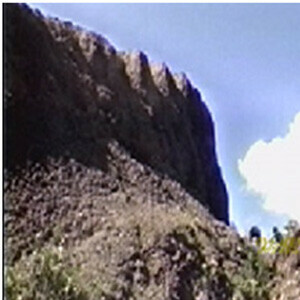 This happened over time from an ancient lava flow on the top of the mountain. It would seem that a large rock had cause the boat to stop sliding down the mountain, and lava would have collapsed the ship deck and would have hardened and protected the entire structure. Over time as the lava cools and deteriorates, and rain waters wash over the ship, petrifying the wood of the entire ship. 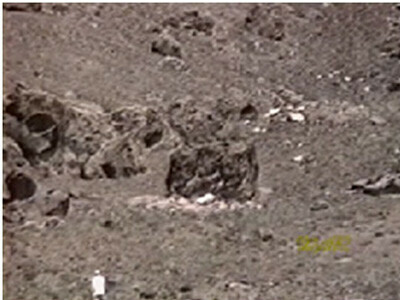 Organic material is typically known to be effected by lava flows in different ways, and in many cases, does not always end up being destroyed. Multiple cases of lava flow over oaks and cotton wood have been found that did not result in destroying them. The reason is that as lava flows it has a constant forming insulating cooling case that continually moves with its liquid molten interior. The temperature, instead of burning up organic material, in many cases embodies or creates a molt impression of the object it is covering. 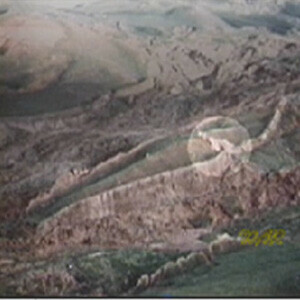 This incident would have caused the Ark to become sealed and protected for eons in this cooling magma casing. As time went on, mineralized wood from moving materials in the surrounding metals and minerals would cause the entire structure to petrify, giving the appearance of old rocks as the timbers fell apart and as all the limestone continued to rest on it. Interior Archaeological surveys would create further proof if its validity. Electronic metal detector where used and GPR (ground penetrating radar) was used to determine if metal fitting could be found throughout the structure. Ron Wyatt teamed up with Colonel Jim Erwin (the Astronaut) who was also looking for the Ark, set on expedition to accomplish interior research of the entire structure. Metal fitting where found evenly space all through the entire structure. Using ribbon they constructed the sections where the metal fittings and brackets where located throughout the entire structure, revealing the entire shape of the ship. Portion of the hull was blow away as excavation in early 1969 causing small metallic object to be ejected. These strange metal objects where concluded to be used as ballast of the ark. When this was found at the site it was thought it was an exotic combination. Ships often have leftover slag due to the construction of the metal fittings. 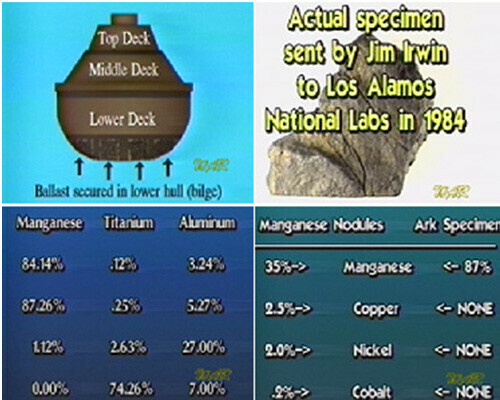 This metal was such a special specimen in 1979 Archaeologist Ron Wyatt was contacted by Jim Erwin whom saw the analysis of the metal at Los Alamos National Labs. Dr. John Bombgardner who was also involved questioning the results and was inspired to investigate the site with Ron. It turns out that the original analysis of the metals where identical to those used in satellites and missiles, and it was inquired of Ron if he had been in contact with one that may have been lost. The specimens contain an unnatural amount of Manganesse and Aluminum. Some experts unfamiliar with the research ridicule these specimens where probably just simple manganese nodules occurring from natural formations. This criticism was overcome when analyzed as the unnatural combination of metals found in the materials where not similar to any other natural occurring manganese nodules, with always contain some amount of copper. Rather these elements are what one would expect as a waste product in the manufacturing process of high tech modern metals such as aluminum. This kind of technology is estimated to have been readily available to Noah as heavy ballast for the Ark during his construction in a pre-flood age. Metallurgy was a know science at the time of Noah, as the Bible describes metal instruments being created before Noah’s birth. 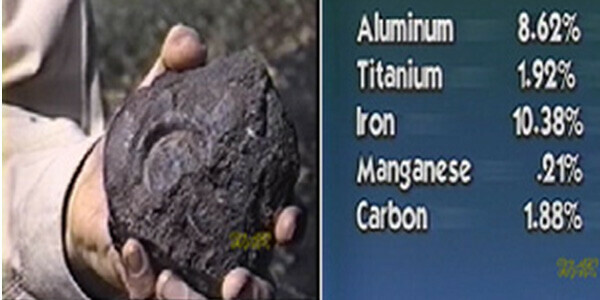 Aluminum minerals where found on site that do not occur in nature. Metal at even distance intervals where found all throughout the entire structure. A Scientist from Los Alamos by the name of John Bomgarnder, a geophysicist accompanied Ron Wyatt and used all types of metal detector, placing markers and stakes united by ribbons to determine what the metal fittings reveal. After accomplishing the layout, a massive ship consistent with the Ark was revealed. Marine expert Dave Tassel also became involved in this research, which yielded finds of all types of angular brackets found throughout the structure. 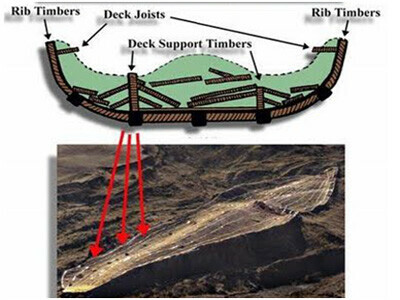 This further confirmed that this structure was the fossilized remains of Noah’s ark, as clearly indicated by the scientists at Los Alamos. 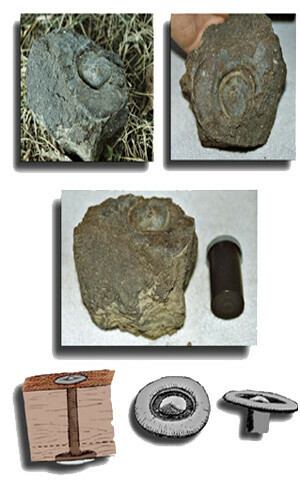 A petrified stone with a Rivet and fossilized washer was found at the site. It was analyzed and found to contain the same compositions as metals found in the ballasts with a smaller amount of manganese content. 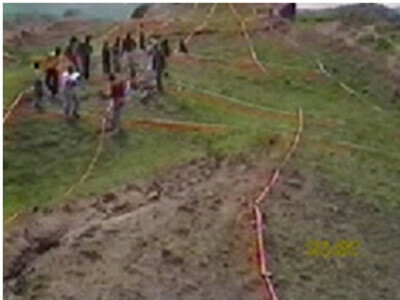 The measurement of the length of the site was 512 feet long with an additions 3 foot section at the end; bringing the total length to the exact same length the Bible indicates (515 ft long). Moses was educated in Egypt and at the time when the Torah (or account of Noah) was written. He would have used that same standard of measurement to determine what the length of Noah’s Ark was as God revealed it to him. The Egyptian cubit 20.6. Thus 20.6 x 300 = 6180″ or 515 ft. 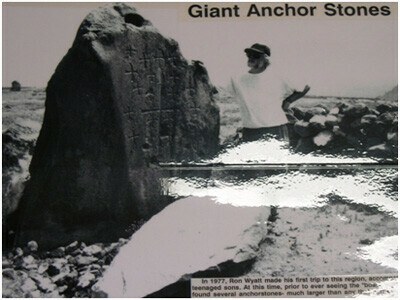 The length of this structure was found to be exactly the same length as this Biblical account of 515 ft.
Additionally, the Hebrew cubit of measurement (less then 20.6 “) came into existence long after Moses had died. 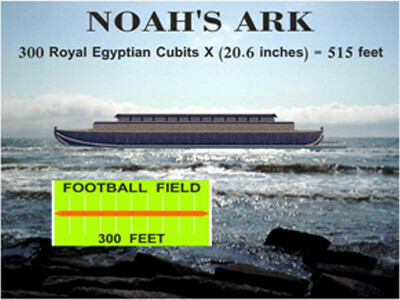 The exact measurement of the ark according to the Biblical account was a width of 50 cubits ( or 86 feet), but with the collapse of the deck over eons of weathering and surrounding geologic activity the deck had collapsed extending the overall width to a total of 138 feet. When the decks collapsed, they fell and broke the deck joists, causing them to fall out giving the appearance of a larger structure. Confirmation of its original width was made through analysis of the bulkhead beams, which are used to hold a ship together. They where found to be exact width of the Biblical account (+/- 1% error) at 87.5 feet. The analysis also revealed that a few sub-surface chambers from the ark could still be extinguished as well as a very large door opening to the large decks that lead to the different levels of the Ark. A molecular frequency generator was used to pick up iron lines deeper in the structure. 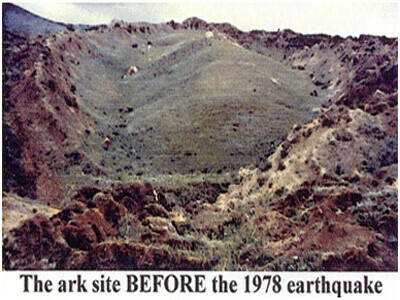 The depth was also determined by Geologist John Finner, using radar technology to verify that it had the same depth of the Ark. The symmetry of the structure using this technology continued to provide evidence that it was indeed a boat. 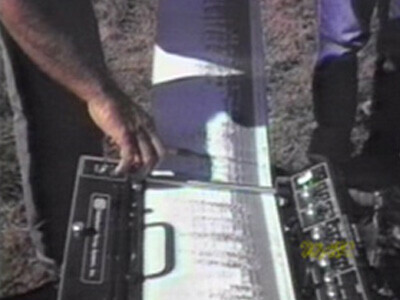 SIR3 Geophysical Survey System, used in Oct 1985-86 with Dave Tassel performed 10 passes over the site setting markers to determine if there was a relationship between the metal lines and the timber units used for the structural hull. All walls where seen on the radar and revealed the bulkhead beams 63 feet across and doubled up all the way down the boat. These longitudal bulkhead beams where deep in the ground displayed in a pattern of even intervals. 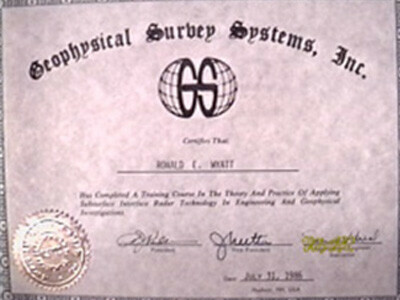 GSSI the manufacturer of the radar in Hudson was given the readout by Ron and asked if they could examine the readouts. 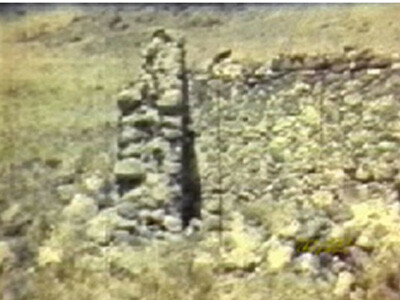 A manmade structure was confirmed by their facility. 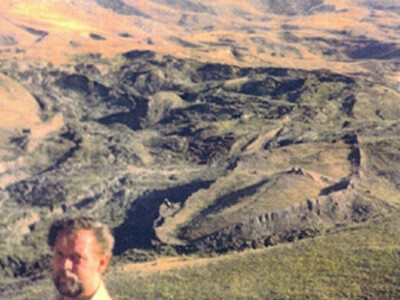 Tom Fenner and Joe Rosetta, Vice President of Geo Survey Systems also view it and determined it was not a natural geological formation, but was indeed manmade. The intervals of all the structural objects found underground appeared far too frequent to be determined as a random natural formation. They confirmed a correlation with the iron lines found by the magnetic detectors and also confirmed the evenly spacing and equal depths. Volcano eruptions many years ago are the estimated cause for bringing the Ark down from the original location further up the mountain. 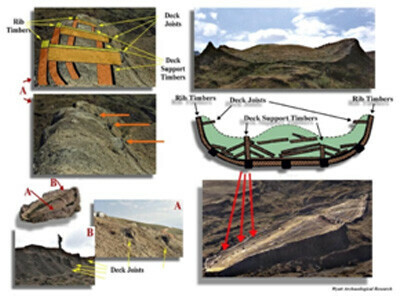 Evidence that the ark had originally landed up higher in the mountain ranges from finding the trail of the lava that seemed to carry it from a higher peak, and the ballast from the ship that seems to leak out of the bottom that leads further up the mountain. The evidence was complete, the Government declared it official in UNKURA. Everything was reported and a decision was made on Dec 3 1986 as shown in the long beach CA press telegraphy. 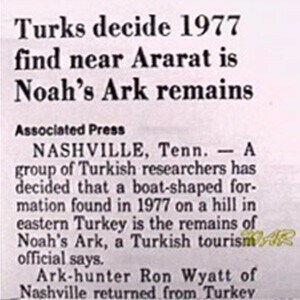 The scientific evidence all pointed to the actual fact that this was indeed Noah’s Ark. 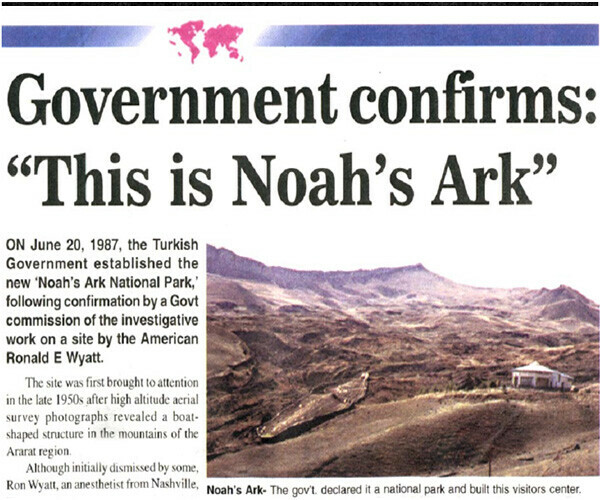 Turkish government authority took the results to be Noah’s Ark. 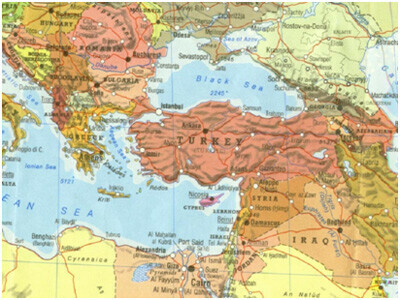 An entire official dedication was made by Muslim authority in Turkey to dedicate the site and even setup a visitor’s center, and constructed a highway to the center. 20-20 covered a story about the entire site, unfortunately it wasn’t able to film or be completed as a militia riot began to break out during the filming, but where able to film a few short evidential claims with the metal detector scans as shown by Ron Wyatt. There are many indications in the Bible revealing the first men on Earth had advancements in technologies. It can be presumed that God created Adam to be very intelligent. Adam was able to name all the animals of the Earth with a reference to the type on creature they where. Each generation after Adam whom was close to God would have a high intellect as well. In order to cut such large pieces of wood to make 50 ft. beams and to move such large beams of wood, advanced technologies would be needed in both woodcutting and construction methods. Metallurgy along with many other advanced technologies where used by mankind even before Noah’s time. Pitch is a viscoelastic solid polymer, meaning it acts like a solid and can even be shattered but it is actually a liquid and moves very slowly over time. Pitch is the residue manufactured from petroleum in plants, used primarily to make a waterproof bonds on other materials.